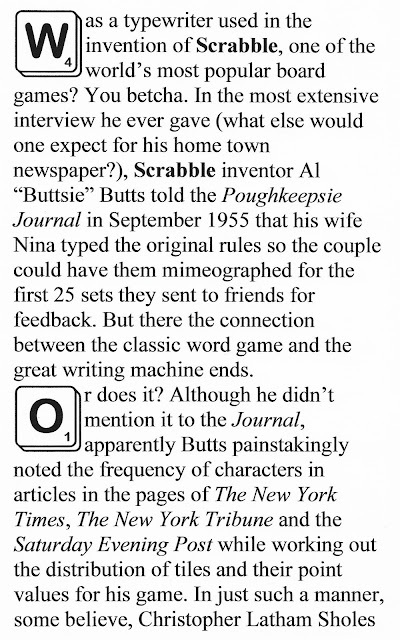 Al and Nina Butts test the game at home. Alfred Mosher "Buttsie" Butts (1899-1993) in his University of Pennsylvania Yearbook in 1924 and in January 1954. 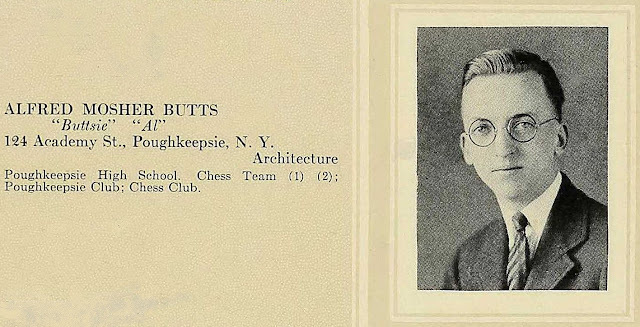 Butts's friend James Thompson Brunot (1902-84) in 1953. 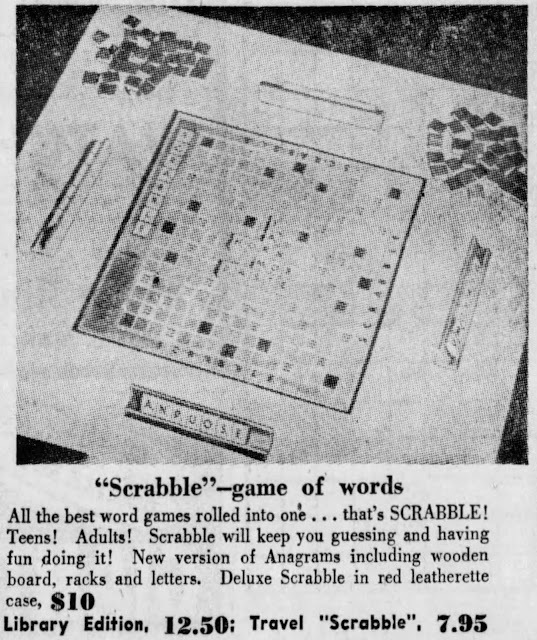 Brunot gave the game its name, Scrabble, and from 1949 made and marketed the earliest sets in an old schoolhouse building in Newtown, Connecticut. 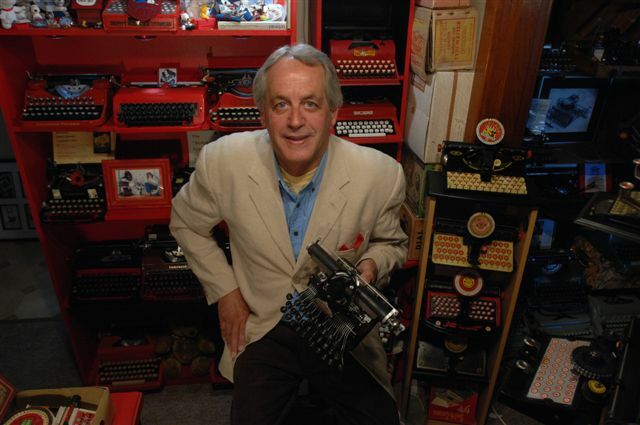 He's seen here amidst some of the 150,000 letters his small team manufactured each day. 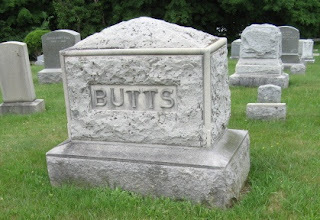 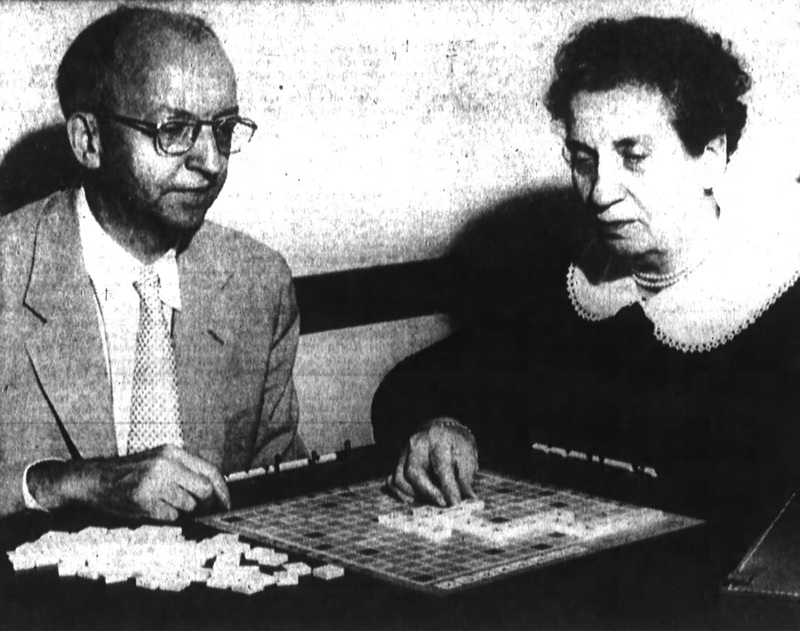 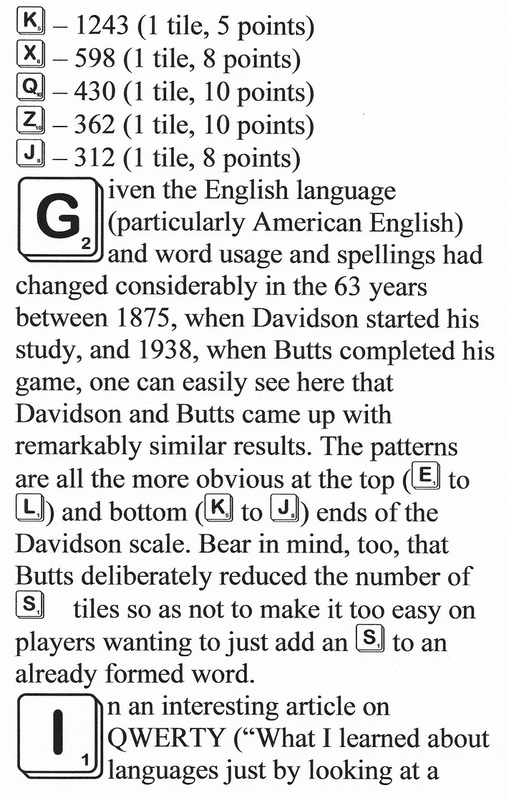 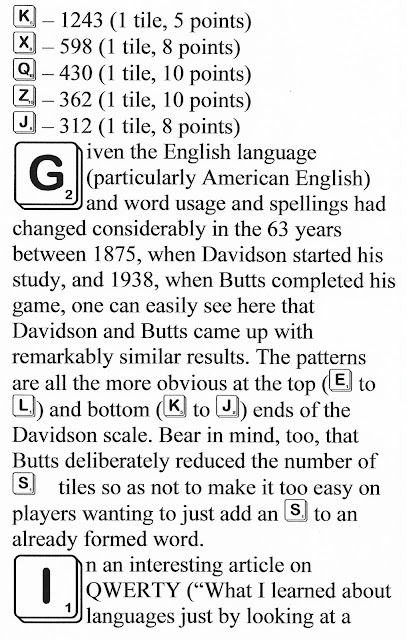 Brunot patented the game in 1953-54 and Butts received royalties on each set sold. 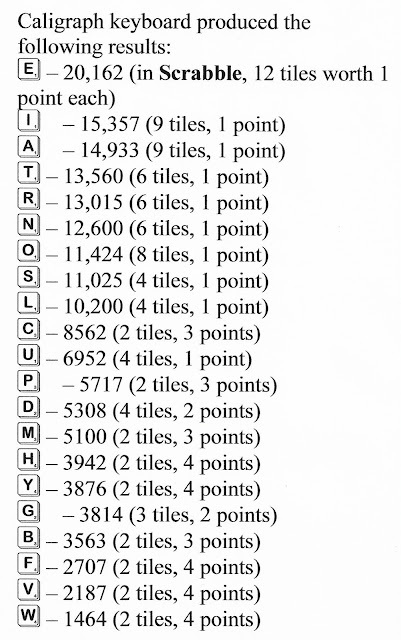 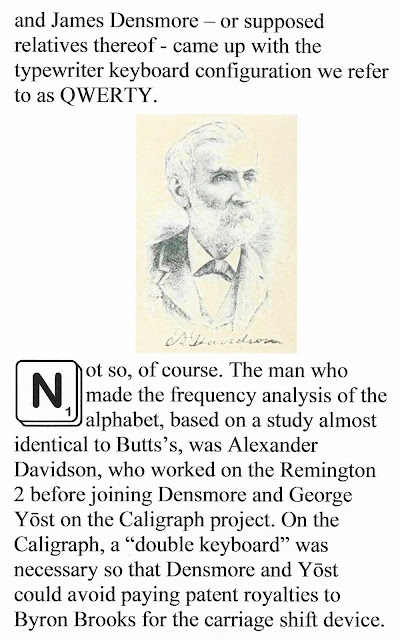 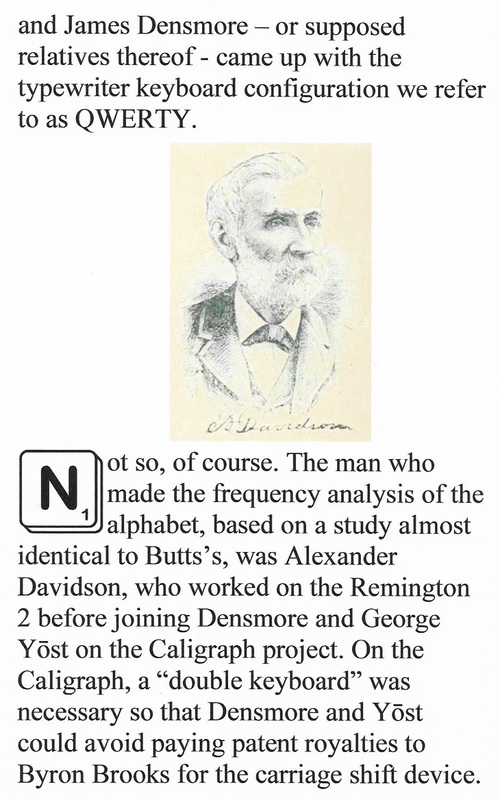 I wonder how these calculations of letter frequency match up with those made by Ottmar Mergenthaler as he arranged the keyboard of his newly invented Linotype machine. 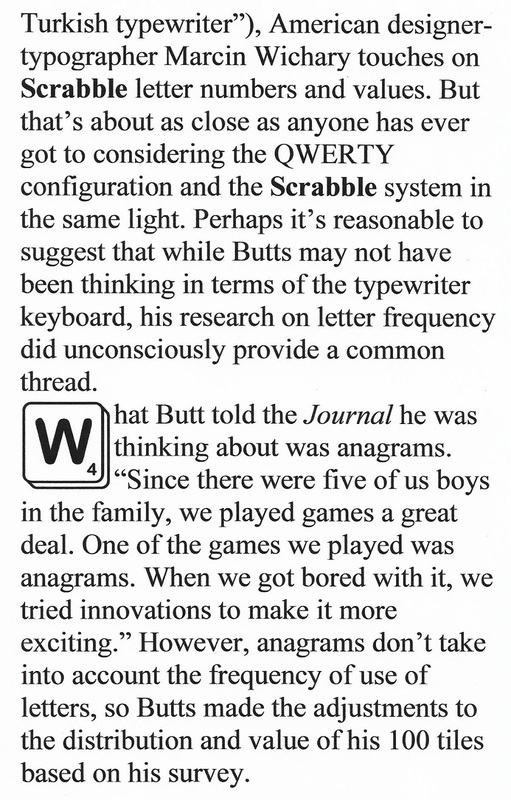 That keyboard is supposedly also based on letter frequency in words (presumably English), yet the keyboard is quite different than the familiar QWERTY layout. 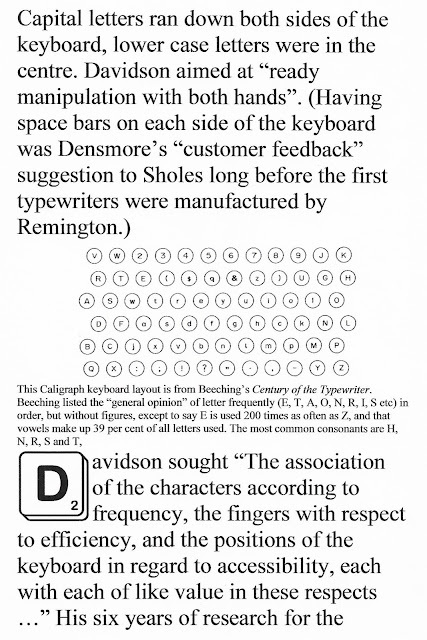 (An example here: https://upload.wikimedia.org/wikipedia/commons/1/1b/ClavierLinotype_20041006-163300.jpg) Anyway, an interesting post! 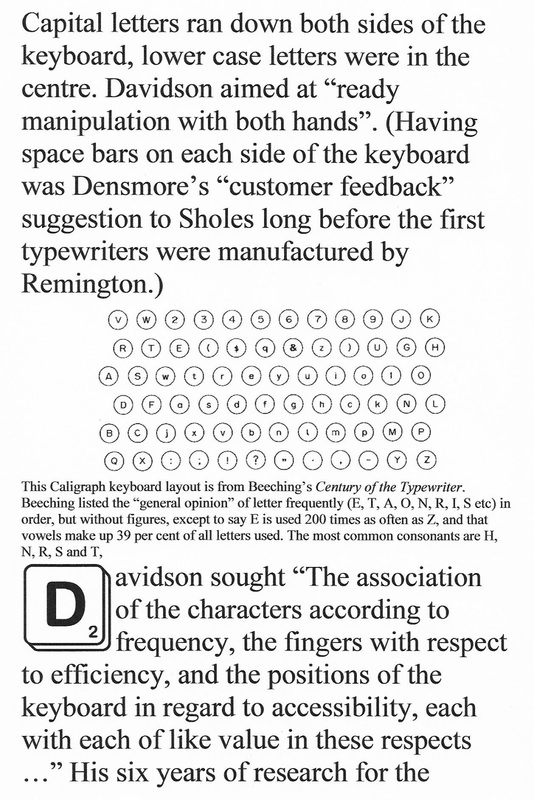 Neat topic, and I admire your skill and work in creating the layout for this post. 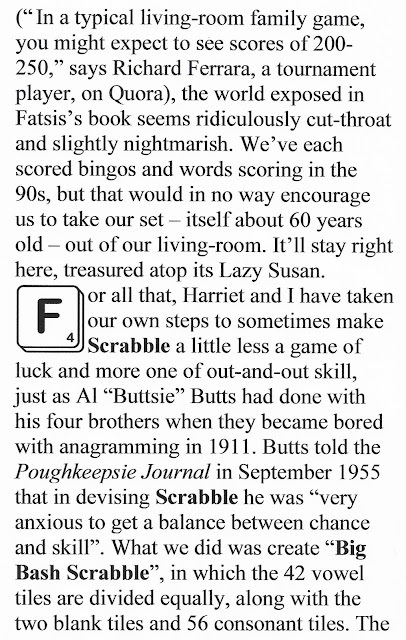 Scrabble is popular in my family. My aunt gave me a copy of WORD FREAK a few years ago and I read the whole thing, with reactions similar to yours. 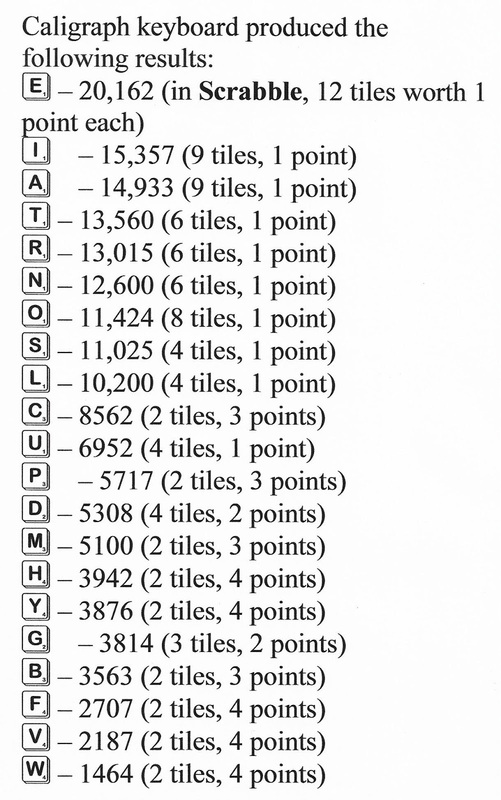 In order to become competitive in tournaments, one must stretch one's memory like a London cabbie, retaining thousands and thousands of obscure words. That's not for me. 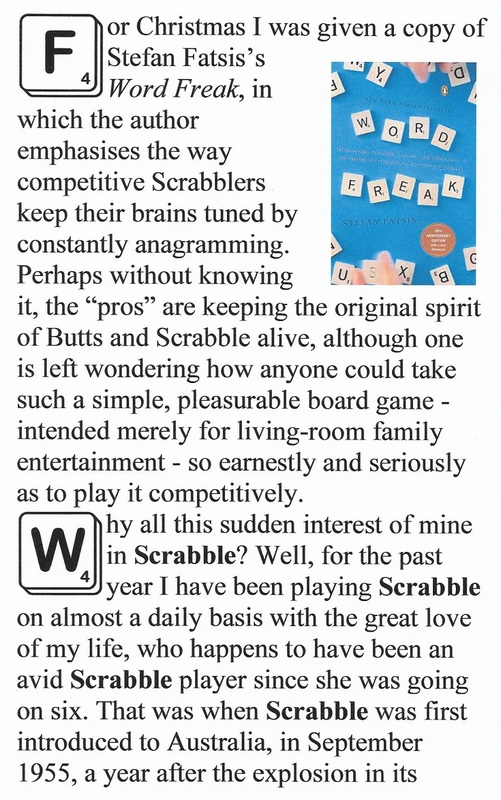 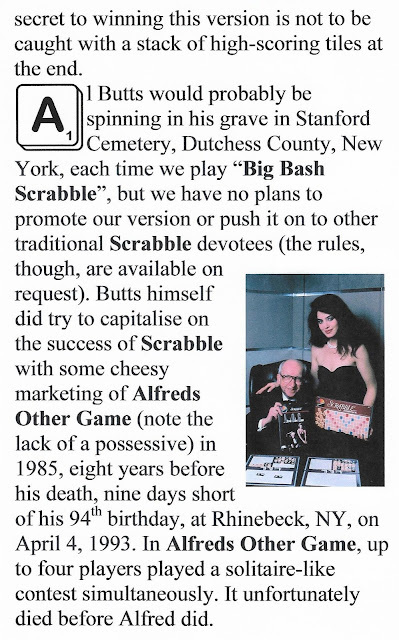 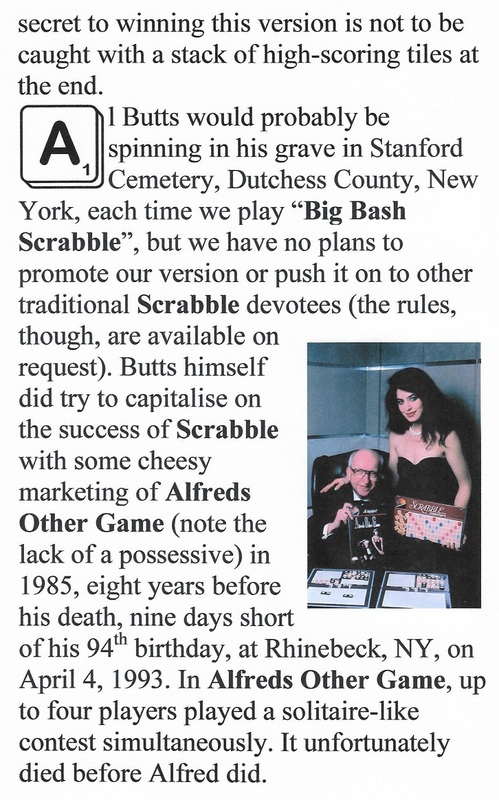 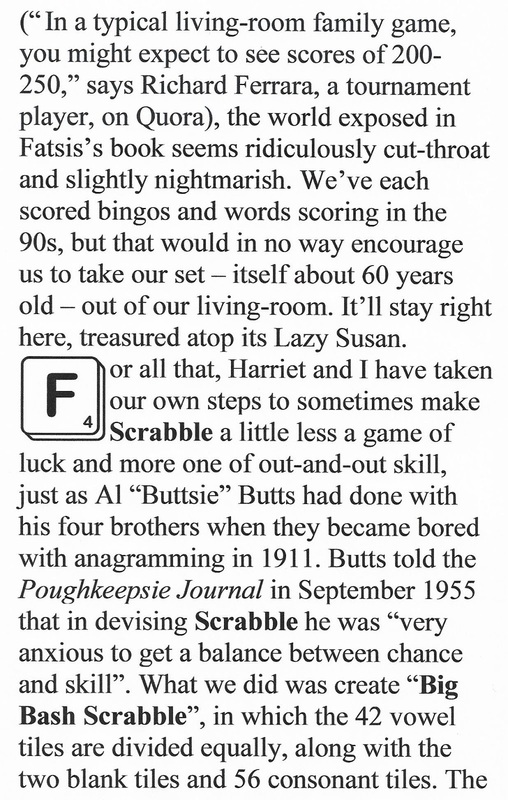 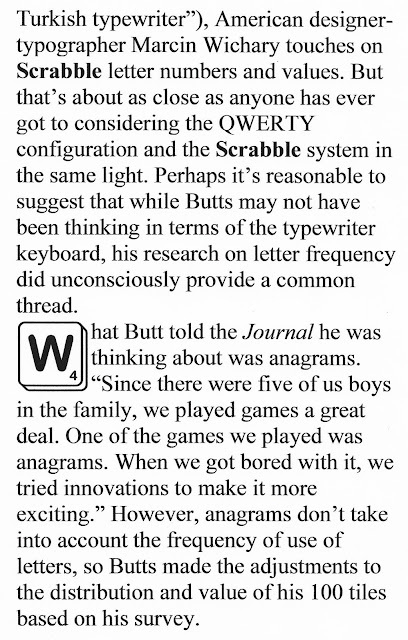 But a friendly game with friends or family, or even against the Scrabble app on my phone, is quite entertaining. 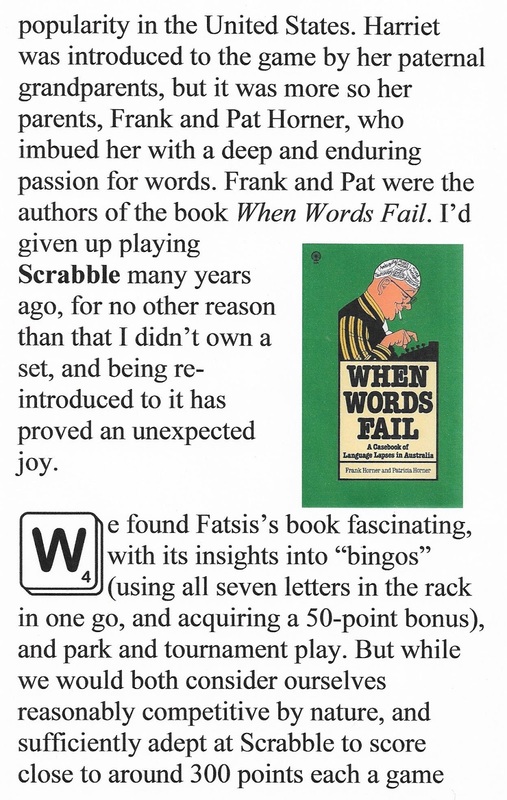 Scrabble has been one of my favorite games for decades. Thank you for the great post about the game and its inventors.